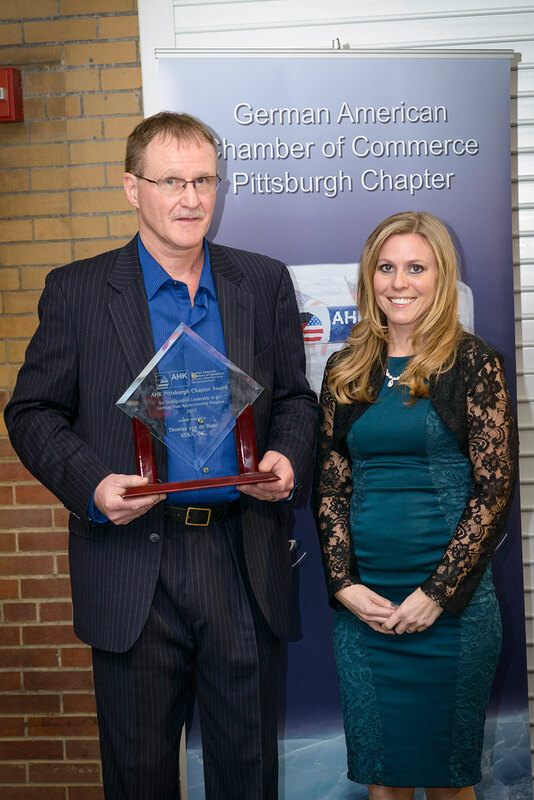 At their second annual Ice Gala, held at the Energy Innovation Center on January 28th, the German American Chamber of Commerce Inc. (GACC), Pittsburgh Chapter recognized Thomas Van De Bunt for his leadership in establishing a German style apprenticeship model at VEKA Inc. in Western PA. Rachel Mauer, Vice President of the Pittsburgh chapter, presented Thomas with the award. "Thomas has been with our program since the very beginning. An expert and veteran on the German Apprenticeship Program and the US company training in manufacturing, Thomas has provided our program with invaluable leadership, working with the curriculum, the companies, the schools, and the students. He has an innate ability to analyze, to recalibrate, to readjust, along with his steadfast backing of his employer, VEKA Inc., and with his expertise, energy, and leadership, our AHK Pittsburgh Chapter Dual Apprenticeship program has had the opportunity to launch and build throughout the region." Thomas is a proven example of the success of the apprenticeship program, which he completed in Germany in the early 1980's before immigrating to the United States to continue his career with VEKA. Today he is responsible for all VEKA training programs in North America with six full time trainers at sites in Fombell, PA, Terrell, TX and Reno, NV. When asked about the program, Thomas remarked, "It’s a great thing and I love doing it. We have a good training curriculum and that’s what young people want; they have incentive, they want to learn something. They want to be somebody someday and we get them started." "A company like VEKA can offer the right environment for a program like this, but it takes individual leadership, dedication and passion for this training model to really take off," commented VEKA President Joe Peilert. "Thanks to Thomas' work we have a great way to attract young people and offer them a defined career path in modern manufacturing. And, in cooperation with the German American Chamber of Commerce, we offer a blue print for other businesses in Western PA to build their own apprenticeship program. 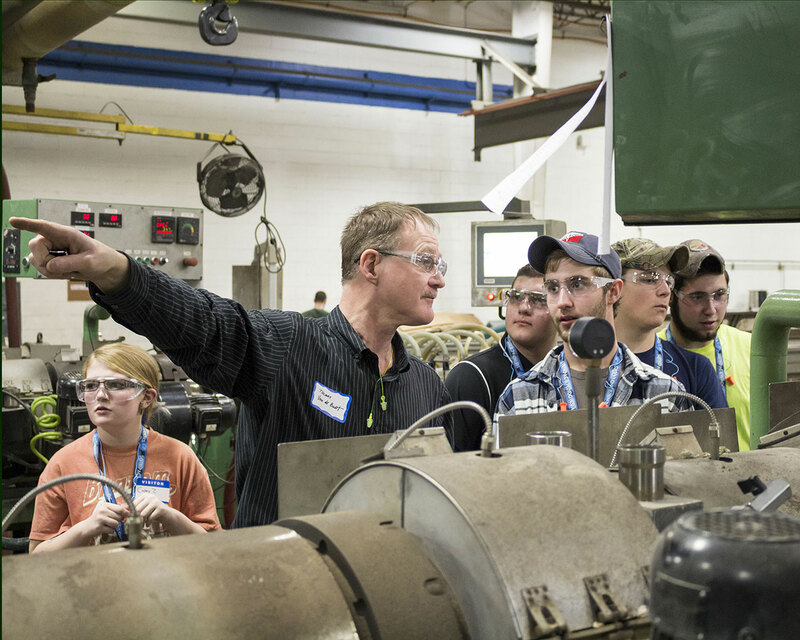 The German style apprenticeship model provides a great alternative for people who feel college isn't the right choice for them, but are willing to learn hands on and build a career." VEKA is currently working with Riverside School District to offer a dual model of schooling and a hands-on formal manufacturing training program. Click to download the entire press release.